Not a SUP movie.. but a nice flick showcasing California longboarding. 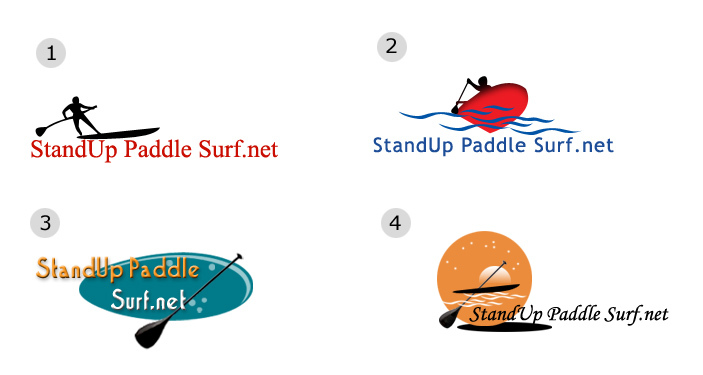 We are currently designing a logo for standuppaddlesurf.net. Are we on track? Please post your comments and help us! Ran across this pretty cool instructional video on Stand Up Surf. Very well done. Say thanks to Todd Bradley over at C4 Waterman for offering our friends at StandUpPaddleSurf.net a FREE Stand Up Paddle Bag with any paddle order. Just call Kellie at C4 Waterman at 808-739-2837 and tell her that Evan at StandUpPaddleSurf.net sent you and place your order. It’s that easy. With arms outspread in a gesture of welcome to all, the larger-than-life bronze statue of Duke Kahanamoku on the shores of Waikiki Beach delineates where the pavement ends and the ocean that Duke loved so much, and mastered so well, begins. The annual Duke’s OceanFest celebration recently brought together surfers and surf enthusiasts from around the world to enjoy the many forms of surfing that Duke loved to savor at Waikiki. If the “father of surfing” were still around, he would have been honored to see his beloved sport and all its offshoots being practiced and enjoyed by so many. I found this video surfing youtube. I guess you can stand up paddle surf behind a boat. I kinda want to try this behind a jet ski but i doubt the wave will be big enough. Been dreaming of stand up paddle surfing. Thinking of stand up paddle surfing. Wishing I could stand up paddle surf. Finally cracked and grabbed my 9′6″ Chambers this morning for a quick paddle at Old Man’s. It was gale force winds, but I had to get wet. No one in the water anywhere so waves were all mine. Managed a couple fun rides and got my fix. I’m dreaming of a new board. Custom Chambers? 9′2″ Chambers production board? Hand shaped Jimmy Lewis? 10′ C-4 boardworks? It is amazing the selection of boards we have available today. I remember not too long ago when I had to use a Surftech Munoz because there was nothing else around. My buddy Jeff Chang at Wet Feet Hawaii www.WetFeetHawaii.com turned me onto the F-16 stand up paddle board for distance runs. I guess they do up to 30 mile paddles on this bad boy. I can’t wait to get him to let me try his out. Jeff got me so excited yesterday when he was telling me about it. He said that it was like riding a continuous wave the whole paddle run. It’s because you can actually ride open ocean swells and any little bump during your ride as long as the wind is fairly strong. GLENWOOD SPRINGS, Colo. — Desiree Powell had never seen people surfing down the Colorado River. Not kayaks or rafts or boogie boards. Surfboards.